Now that the Motorola Xoom (s mmi) is available, the first of many Google Honeycomb (s goog) tablets is poised to battle against Apple’s iPad for consumer dollars and developer interest. There’s much to like about the Xoom — see my video walkthrough and first impressions here — and the Android 3.0 operating system is growing on me as I use the new tablet. But even as I find more positive aspects, a common theme is recurring throughout the experience: a feeling of “rushed to market” for the Xoom itself and Google Honeycomb in general. Honeycomb isn’t quite ready. Bear in mind that while Google worked on its Android tablet operating system for months prior to the official introduction earlier this February, it’s a brand new fork of Android. There are new APIs for developers, larger screens to deal with and a complete overhaul of the user interface that’s unlike the smartphone experience. Surely, that takes time to build. But products shouldn’t be released until the platform is rock solid: something that Apple excels at.Instead, on my first day of Xoom usage, the Android Market — central to getting apps on the device — crashed several times. To Google’s credit, the Market app was updated for me last night and appears to run better today. But the problem screams “rush job” to me, especially since using Honeycomb in portrait and opening the Market kicks you into landscape mode only. There aren’t many tablet apps (and here’s why). Speaking of the Android Market, tablet owners looking for apps that take advantage of the larger screen won’t find much to choose from. Yes, the Xoom can run nearly any of the currently available Android apps that work on smartphones, but the experience is poor in some cases. Facebook, for example, still uses tiny, smartphone-sized icons, making the app look comical on a 10.1-inch screen. And some may have to squint to read tweets in the official Twitter app. But I don’t fault developers. Google only released the Honeycomb development tools in a preview mode on Jan. 26, so programmers had little time to re-tool their apps before the Xoom tablet launch. About that 4G upgrade. One of the Xoom’s differentiating features has little to do with Google Honeycomb and everything to do with Verizon’s fast mobile broadband network. The currently available device offers both Wi-Fi and 3G for connectivity, but can be upgraded to use Verizon’s 4G LTE network for even faster wireless access. The upgrade is free, which is great. The method to get the upgrade: not so much. Customers will have to ship their device to Motorola and wait up to six business days for the tablet to be upgraded and returned. Whether that’s down to poor planning regarding 4G radio components, radio software that wasn’t ready or a combination of factors doesn’t matter. The fact remains that the first tablet went on sale without a key differentiating element. Who forgot the memory? If the 4G hardware upgrade doesn’t convince you that Xoom was rushed, perhaps a more basic feature that was overlooked will have impact. In my video overview, I noted a small removable cover on the Xoom: it hides both the SIM card slot that will be used for 4G service and a microSD memory expansion slot. This type of memory slot is typical fare for Android smartphones and is even on my 7-inch Samsung Galaxy Tab Android tablet. But you can’t use it until after a software upgrade that will come soon. Given that Xoom has 32 GB of internal storage, this won’t be a practical problem for most consumers, however, it emphasizes that Honeycomb is still a work-in-progress at this point. So if I’m correct, and Honeycomb and the first tablets that run it are getting rushed to market, the obvious reason it’s happening is to compete with Apple’s iPad, which sold 14.75 million units in 2010. And with Apple’s press event next week, which is expected to shed light on the next iPad and possibly new software features for iOS, I can understand the need for speed. However, some of the issues caused by cutting a few corners to launch devices could end up hurting more than helping, at least in the short term. In the long run, there’s still a challenge to face: Google’s Honeycomb offers a totally new user interface, one that’s far more like a computer UI than Apple’s iPad is. Consumers transitioning from the popular iPhone and iPod touch to an iPad have practically no learning curve because the operating system is shared amongst the different devices. Honeycomb is completely new, and even as a long-time Android owner, I found myself searching for menu options and buttons the first few hours with the Xoom. That alone presents enough of a challenge to consumer adoption of Honeycomb. There’s no need to make the situation worse by also rushing it to market. Can Anyone Compete With the iPad? The first thing that struck me in the video is the box the Xoom comes in is bigger than the box my MacBook Air came in a year and half ago. So many adapters and docks seem like too much plastic after the Spartan approach of the iPad. Motorola seems to harken back to PDAs and the various add-ons one used with them. And, the power supply for the Xoom is huge. I do like the stereo speakers and hope the iPad 2, which I may eventually upgrade to, has them. The HMDI port is less sought after since how useful it is turns on DRM issues. According to the specifications, the Xoom does indeed have 720p HD, as does the iPad. The iPad’s more square screen is slightly bigger than the Xoom’s rectangle. The Galaxy Tab’s screen is about 43% of the iPad’s. Maybe the “rush” to put out a tablet had little to do with the iPad and everything to do with using first adopters as beta testers, and Google wants to find the bugs in Honeycomb before several other tablets release in the next few months. After all, if Google was really in such a rush to have a tablet they could have just said, go ahead and use Android 2.x for your tablets now and we’ll work on a new UI. Personally I think Google was planning on Chrome OS as their tablet OS but it’s just so far behind and hardware companies told Google flat out that they wanted the OS to be Android, and because of that Google had to change strategies midstream. 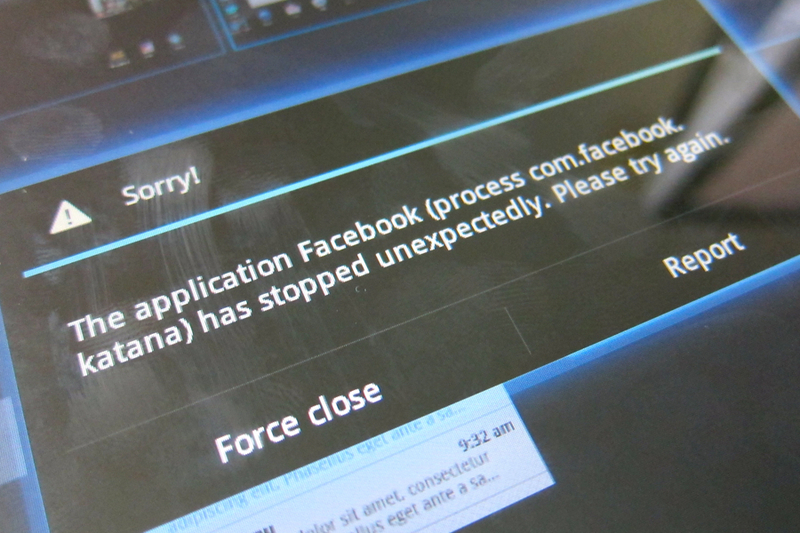 For Android fans, rest assured that Google will be working even harder on their tablet OS than on their smartphone OS. Search will be a much bigger deal on tablets than on smartphone due to the increased ease of text input. When hasn’t Google rushed a product to market? The new computer-like UI is exactly HoneyComb’s strong point. If Apple keeps iOS the way it is it will never gain much traction beyond the consumer mom/kid market. The business/enthusiast crowd will still always need a laptop. Google has no desktop OS too protect. By making Android so robust it has the possibility of replacing a laptop for even serious users, leaving real PC’s for those only in the heavy content creation business. While that’s a subjective point of view and you are entitled to your own opinion, I would caution that is always dangerous to view new paradigms through the eyes of the old. A UI should be based on the job that a user wants to accomplish. With such an immature market, it’s tough to know what the best UI is. That’s why I think there is space in this market for multiple platforms. Both Android and iOS will change a lot before all is said and done. while I realize you think saying “new paradigms through the eyes of the old” makes you sound sophisticated, it really just makes you sound like you listen to alot of TWIT.tv. that type of meaning only works for instances like reading ebooks with virtual page flips on a digital device, because it offers absolutely *nothing* to enhance the experience. a robust UI that HC offers is very similar to a desktop, and nobody denies that desktop UI’s are far better suited for productivity than mobile. Interesting article, Kevin. So if today, you had to choose to keep only one device, either your Samsung Gtab (running Froyo) or the Xoom, which one would you pick? Let me preface my answer by saying that my mobile computing needs could be very different than most people. While Honeycomb has some “speed to market” issues, I do expect them to be resolved. And Google has put together a very compelling tablet platform. Having said that, I prefer a tablet that I can use all the time, wherever I am. For me that trumps the improved UI and other HC features, so I’d stick with my smaller Galaxy Tab running a custom kernel and custom Froyo ROM. The smaller size and nearly half the weight simply meets my needs. And I’m still holding out hope that a solid 7-inch tablet will see HC: Acer already said they plan it and it wouldn’t surprise me if Samsung did the same. Thanks for your opinion, Kevin. I did read your post awhile back about why you sold your iPad and agree about the size/weight of that device being less practical in some usage scenarios. I guess I’m more curious about the user experience. Whether you would you choose to stay on Froyo for the stability and current app compatibility, versus trading those positive aspects in order to get the latest and greatest Honeycomb features.